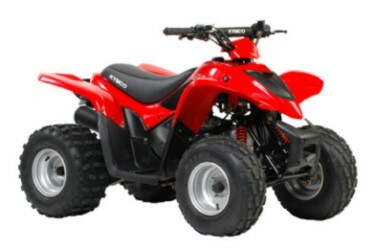 The Consumer Product Safety Commission recommends age requirements for ATV use based upon engine size. 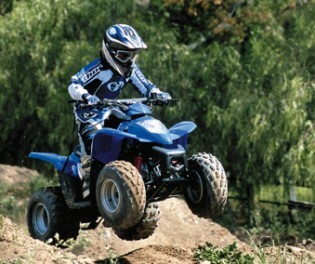 They recommend that riders between the ages of 6-11 do not operate an ATV bigger than 70cc. KYMCO has introduced the Mongoose 70 (actual engine size of 69cc) for kids between the ages of 6-11. The Mongoose 70 is the same overall size as the Mongoose 50 with some additional horsepower for the more experienced rider. Features Taillight, lanyard safety switch and a 1 Year Limited Factor Warranty. C.A.R.B. Certified. Forestry Approved Spark Arrestor.